Dr. Prevete attended Fordham University in the Bronx, graduating with a Bachelor of Science degree in Biological Sciences and a minor in Psychology. While at Fordham University, she was a four year member of the Cross Country and Track & Field teams, where she was named Team Captain her junior and senior year. She continued her education and earned her degree in Podiatric Medicine and Surgery at the New York College of Podiatric Medicine. She completed a four year residency at New York Presbyterian/Queens in Flushing, New York where she was comprehensively trained in reconstructive and elective surgery of the foot and ankle at a Level-I Trauma Center. She completed multiple educational courses focusing on both internal fixation as well as arthroscopic surgery. She also served as the Chief Resident during her final year. Dr. Prevete is an active committee member of the New York State Podiatric Medical Association and a member of the American Podiatric Medical Association. She is an Associate of the American College of Foot & Ankle Surgeons. Her background as an athlete has helped her to understand exactly what it feels like to be a patient, which is what initially sparked her interest in podiatry. She is a compassionate physician who always takes the patient’s goals and lifestyle into account prior to establishing a treatment plan. Dr. Prevete is a native New Yorker, born and raised on Long Island. 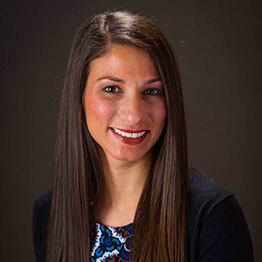 In her free time, Dr. Prevete enjoys running and has competed in the New York City Marathon and in local road races. She also enjoys cooking and music.